This decision by Hearing Officer Karen Ayres is a final determination of an opposition originally heard on 24 March 2010, with the initial decision being issued on 24 June 2010 (Societe Des Produits Nestle S.A. v Cadbury Holdings Limited  APO 9). This case is a lesson for practitioners of the importance of identifying appealable findings in a decision, and filing any appeal within the relevant time limit following the date of the decision. The fact that a decision may be of an ‘interim’ nature, and not a final determination, does not mean that any objection to, or appeal of, specific findings in the decision can be delayed until the time of final determination. 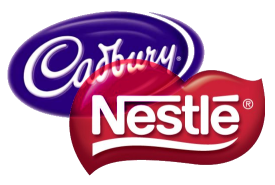 Cadbury Holdings Ltd (‘Cadbury’) had been partially successful in an opposition to a patent application filed by Societe Des Produits Nestle S.A (‘Nestle’), however the Hearing Officer had provided Nestle with a strong indication of the nature and scope of patentable subject matter in the application, and provided it with an opportunity to amend its claims to overcome the successful ground of opposition. Nestle duly made the suggested amendment, which was subsequently allowed by the Patent Office, and the case returned to the Hearing Officer for final determination. It was only at this stage that Cadbury raised objections to the amended claims. The Hearing Officer refused to entertain the objections, stating that if Cadbury had problems with the original decision, it should have filed an appeal with the Federal Court of Australia at the time. As a result, she has directed that the patent be sealed within one month. Patent application no. 2001295187, in the name of Nestle, relates to a hard candy having a powdered artificial sweetener (monosaccharide polyol) in the centre, and which is configured to provide an ‘enhanced cooling effect’ when the sweetener is released in the mouth. Cadbury opposed the grant of the patent on grounds of lack of novelty, inventive step, sufficiency, fair basis, clarity of claims, and that the claims were not for a ‘manner of manufacture’ (i.e. not proper subject matter for a patent). The opposition succeeded, but only on the ground of lack of novelty. Furthermore, the Hearing Officer found that this ground could be overcome by suitable amendments. In particular, the ‘intended invention’ was found to be a confectionary product containing a hard casing surrounding a powdered monosaccharide polyol where the casing was configured for ‘early release’ of the powdered centre. However, when interpreted correctly, none of the accepted claims was limited to this valid inventive concept. Some of the claims had included, amongst other options, an embodiment of the invention in which the casing contains a hole of a size that allows the filling to exit the casing when the confectionary is placed in the mouth. The Hearing Officer found that these claims ‘inherently’ defined the intended invention. A confectionary product comprising a casing of a protective confectionary material and a filling included within the casing, with the filling comprising a major amount of a monosaccharide polyol in a crystalline anhydrous powder form chosen from among polyols having a cooling effect, wherein the casing is configured with at least one portion to permit early release of the powdered filling after a few seconds in the mouth and without having to wait for a substantial portion of the shell to dissolve or without having to chew or bite the casing. This claim clearly defines the ‘intended invention’, in almost identical terms to those identified by the Hearing Officer. The usual procedures for amendments resulting from opposition proceedings were followed. This generally involves providing the opponent with a opportunity to comment following the initial filing of proposed amendments. The amendments are then examined in the usual manner and, if found to be allowable (as in this case), the intention to allow the amendments is advertised for opposition purposes. Nestle’s amendments were ultimately allowed on 28 March 2011, and the case was then referred back to the Hearing Officer for final determination. It was at this stage that Cadbury – for the first time – made written submissions against the amended claims. In its written submissions, Cadbury conceded that the wording of the amended claims mirrors the findings in the original decision. However, it nonetheless argued that the amended claims should be further limited to the embodiment in which the confectionary casing contains a hole of a size that allows the filling to exit the casing when the confectionary is in placed in the mouth. I found this was an embodiment of the invention rather than the invention itself. It is not open at this stage of proceedings for the opponent to argue that the claims should be narrowed further. If the opponent disagreed with the interim findings, they needed to have appealed the decision to the Federal Court. In my view it is at least implicit, if not explicit, in the authorities to which I have referred that, to the extent that those issues have been determined by an interim decision in a manner that it is unfavourable to the interests of either party, it is incumbent upon that party, if it so desires, to appeal the decision. If it fails to do so then it is not open to that party to appeal, whether directly or indirectly, against the interim decision of the Commissioner out of time without leave of the Court. It is not uncommon, following a substantive opposition hearing, for the Hearing Officer to indicate that there may be patentable subject matter in the specification, and allow the applicant an opportunity to amend in order to overcome the successful grounds of opposition. In some cases (such as the recent Telstra v Amazon – see Telstra Scores Pyrrhic Victory in Amazon ‘1-Click’ Opposition) there may a specific finding that some claims are patentable. Or it may be, such as in the present case, that the Hearing Officer identifies particular patentable subject matter, even though it may not be the subject of a specific claim under opposition. In such cases, it seems clear that the opponent must appeal the initial decision if it believes that the Hearing Officer is in error, and that the identified subject matter is not patentable. This may not be true more generally, however. If the Hearing Officer does not make a specific finding in relation to patentable subject matter, and/or the applicant elects to propose amendments that are not foreshadowed in the decision, then the opponent has other avenues for comment or objection. Initially, this will be when the Patent Office invites comments from the opponent after the applicant’s proposed amendments are filed. Following this, there is the opportunity to oppose allowance of the amendments, although the grounds for such opposition are limited, and do not include the objections that the amended claims are not novel of inventive. Then there is the final determination of the opposition, to which further submissions may be made. And as with any decision of the Commissioner, this final determination is itself appealable to the Federal Court. The interplay between opposition proceedings, and related amendment applications, can become complicated. Parties to such proceedings are well-advised to take particular care to ensure that opportunities for comment, objection and appeal are not missed inadvertently.